Pulling on a leash is a common problem that can occur with any dog. Don't be embarrassed. It is common to see leashed dogs pulling or lunging towards another dog, barking, or even growling and snapping when they see another dog on leash or more so when they are approached by another (un)leashed dog. On the other hand, these same dogs can be well behaved when meeting a dog off-leash and might be playing nicely. So what's the deal? A few possible causes for leash reactivity in dogs are lack of training, improper socialization, a previous traumatic experience on leash, or pure frustration.The issue can stem from a range of events and emotions. Behaviors of lunging, jumping, and snarling are not breed-specific. Since this can happen to any dog, what are some simple ways to control your dog’s leash behavior? First things first, stay calm and turn your dog AWAY from the other dog. Don’t overreact, yell or jerk intensely on the leash, because your dog will get even tenser and may respond with further barking or pulling. Secondly, ALWAYS use a humane training collar. 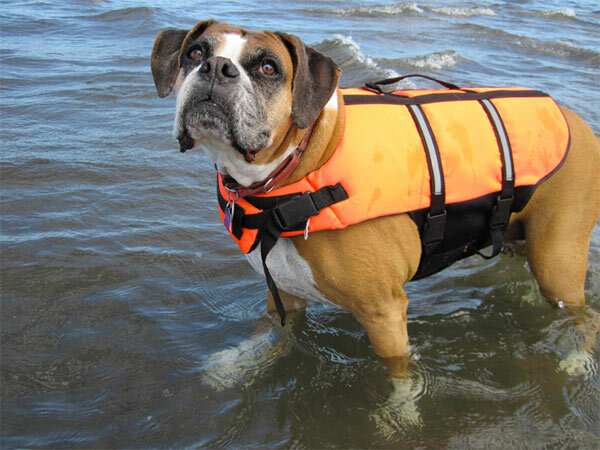 Head halters and front buckle harnesses makes on-leash management much easier and will not harm your dog. Punishment devices such as collars that choke, pinch, and shock are never recommended as they cause pain and discomfort. Although some may seem to temporarily suppress the behavior, the pain and discomfort from punishment collars will not decrease the leash reactivity in the long run. In fact, it may just cause or worsen aggression, especially if the behavior is based in fear or conflict. The next tip may be the most important: the art of prevention and distraction BEFORE the unwanted behavior happens. This ensures your dog is focusing on you and not the other leashed dog(s) on the street. A fun way to distract your dog is to have a handful of treats and play the game of “find it.” Throw treats in front of him as you pass another dog and continue to say “find it” until you have walked past that dog. Your dog will be so busy searching for treats he won’t even notice the other leashed dog! Eventually, this will build an association of seeing other dogs with tasty treats. If the above pointers are not successful with your dog, taking a class may be the way to go. There are many reward-based behavior modification classes out there that teach dogs how to behave in the presence of other dogs. The San Francisco SPCA or a humane society near you will have many different dog training courses. If your dog, however, has a strong fear response and shows aggressive behaviors, it is best to consult with a board certified veterinary behavior specialist. Through a private behavior consultation, the problem willbe diagnosed and a behavior treatment plan will be individually tailored and designed in a one-on-one session. 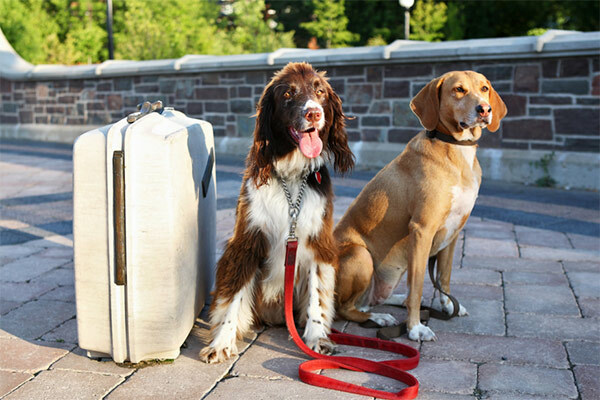 So, next time you are traveling or out and about with your leashed dog, don’t fret; instead, be proactive because leash reactivity happens to many dog guardians and it is preventable and manageable!